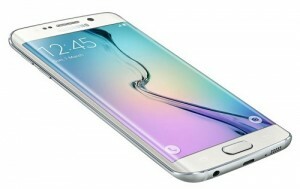 Samsung has released the Galaxy S6 Edge for AT&T in April 2015. This model is available in black, white, gold or green emerald. The device is also available in 32GB, 64GB, and 128GB model variants. Unfortunately the S6 Edge does not support external memory. The S6 Edge has a 5.1″ curved edge, super AMOLED touch screen with Corning Gorilla Glass 4 and TouchWiz IU. It supports fingerprint sensory technology (PayPal certified) and Samsung Pay for Visa and MasterCard. With the curved edge screen, you can now see your notifications while your device screen is locked! Did I mention, it also has a LED notification light? The S6 Edge also has a 16MP camera, with a 2160p video recorder, and a 5MP front-facing camera. This camera produces sharp, vivid images and videos in all lights and settings. It also supports simultaneous HD image and video recording, panorama, and geo-tagging. The Galaxy S6 Edge has definitely exceeded expectations and has been more popular than the Galaxy S6. Its oct-core processor provides exceptional speed in additional to the functionality it provides. Unlocking your AT&T Galaxy S6 Edge is fast, simple and 100% guaranteed by Cellunlocker.net. Unlock your AT&T Galaxy S6 Edge with Cellunlocker.net today and receive your network unlock pin within 24 hours! Why Unlock your AT&T Galaxy S6 Edge with Cellunlocker.net?